A visual metaphor for the death of the old continent. While some rejoice others rightfully fear what will follow. 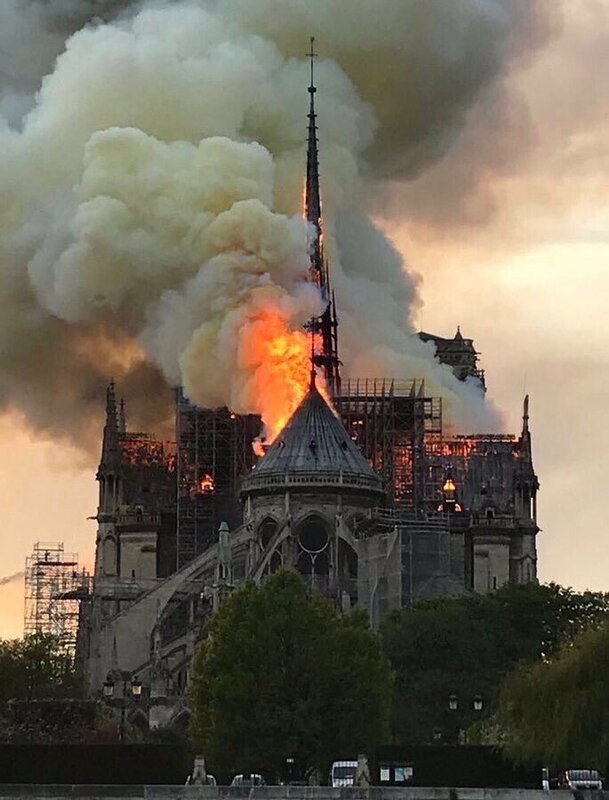 Notre Dame survived nearly a millennium — wars, plagues, revolutions and counter-revolutions, Napoleon, Hitler. What went wrong in 2019? Who is going to believe the “official” explanation for the cause of the Notre Dame fire? Trust in Macron’s government is very low. Personally, I’d ask where Pope Francis was yesterday. 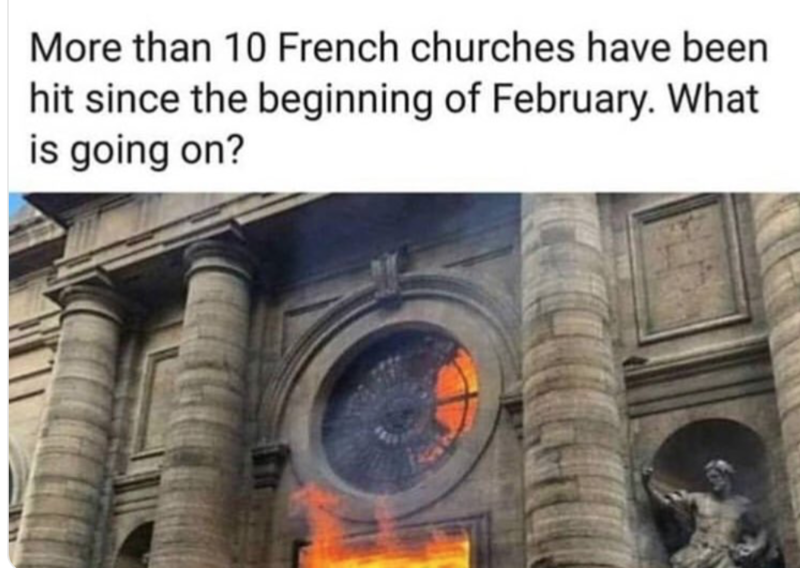 After all, we all know muslims don’t know how to use fire. But seriously – it’s obviously Micron’s very own REICHSTAG FIRE moment – a great way to distract the media from the ongoing “yellowjacket” protests/ SECOND FRENCH REVOLUTION. Isn’t it strange that they had NO security cameras? Perhaps the priests didn’t want to be monitored! I hear they get frisky with altar boys after dark!